If there is a leak from the oil seals at the inner ends of front-wheel-drive shafts, the shafts must be removed and the seals renewed - a task best left to a garage. A front-wheel-drive car has oil seals on the drive shafts at the front wheels. 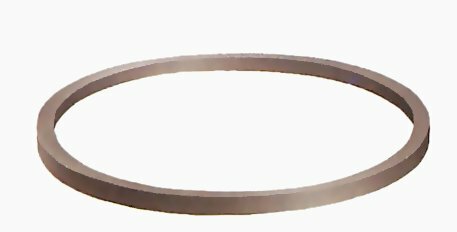 There are two main types of oil seal: static and dynamic. A static oil seal fits between two non-moving parts, a dynamic oil seal between a stationary part and a moving one. Most oil seals are made of synthetic rubber. An example of a static seal is a simple 'O' ring. These seals can be found in such places as the oil filter used on combined automatic gearbox and engine units, on conventional gearbox front covers and in automatic gearboxes. Dynamic seals are more complex in shape, with one or two lips, depending on where they are situated. 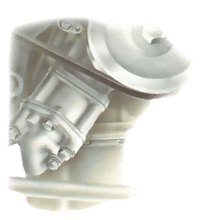 These are widely used in the transmission system of both front and rear-wheel-drive cars, where oil must be sealed in where a rotating shaft passes through a component. For example, at the outer end of a half shaft and on the differential pinion. A static oil seal, as fitted to a replaceable oil filter, where there are no moving parts. The dynamic seal surrounds a turning shaft. 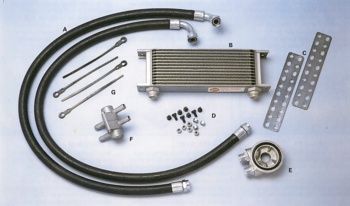 The lip always faces the oil it seals in, and the garter spring provides gentle pressure. Dynamic seals also contain a thin coiled spring, called a 'garter spring', which holds the sealing lip in contact with the revolving shaft. Many seals have a metal outer casing for added strength and ease of fitting. Because the seal is in constant contact with a moving part, dynamic seals eventually wear and begin to leak, and both dynamic and static seals deteriorate with age. Most seals are inexpensive and easy to replace, but many are in places where you must do a lot of dismantling to get at them. For example, gearbox oil seals (apart from the extension-housing seal on rear-wheel-drive cars) can be replaced only with the gearbox removed - a task best left to a garage. 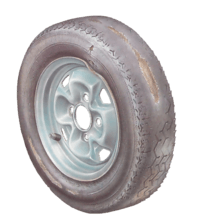 However, the seals on the rear axle and final drive should all be possible to replace fairly easily, although special tools may be necessary. After many miles and several new seals, the moving part against which the dynamic seal fits may wear. Slight wear can sometimes be taken up by fitting a shim between the seal and its housing, to change the point of contact. But if a shaft becomes seriously grooved it must be replaced or repaired at a garage or engineering machine shop. This is not a common occurrence, but any point at which a shaft rotates in a seal is a possible leak source. Check such points regularly. 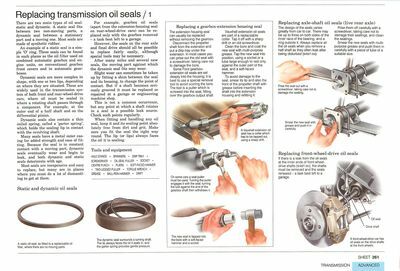 When fitting and handling any oil seal, keep it and its sealing point absolutely free from dirt and grit. Make sure you fit the seal the right way round. The lip (or lips) always faces the oil it is sealing. Some extension oil seals have a collar which has to be tapped out, using a sharp drift. The extension housing seal can usually be replaced without removing the gearbox. Disconnect the propeller shaft from the extension and put a drip tray under the extension. In most cases you can prise out the with a screwdriver, taking care not to damage the bore. On some cars a seal puller must be used. Turning the puller engages it with the seal; turning the bolt against the end of the gearbox shaft then withdraws it. 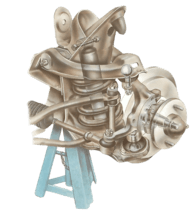 Some Ford gearbox-extension oil seals are set deeply into the housing; it is best to use a special removal tool to avoid scoring the bore. The tool is a puller which is screwed into the seal, fitting over the gearbox output shaft. Vauxhall extension oil seals are part of a replaceable collar. Tap it off with a sharp drift or an old screwdriver. The new seal is tapped into the bore with a soft-faced hammer and a socket. 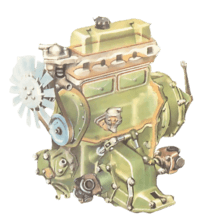 Clean the bore and coat the new seal with multi-purpose grease. Tap the new seal into position, using a socket or a tube large enough to rest only against the outer part of the seal, and a soft-faced hammer. To avoid damage to the seal, smear its lip and also the front of the prop shaft with grease before inserting the shaft into the extension housing and refitting it.